One thing is certain: You can never have enough storage space. Even if you're doing your best to live that minimalist lifestyle, keeping your belongings neat and tidy can be tough — especially when you're living in tight quarters. That's why finding clever ways to fit more stuff into less space is a must. Here are 10 creative ways you can maximize your storage space and stay totally organized, too. 1. Add a second clothes rod to your closet. 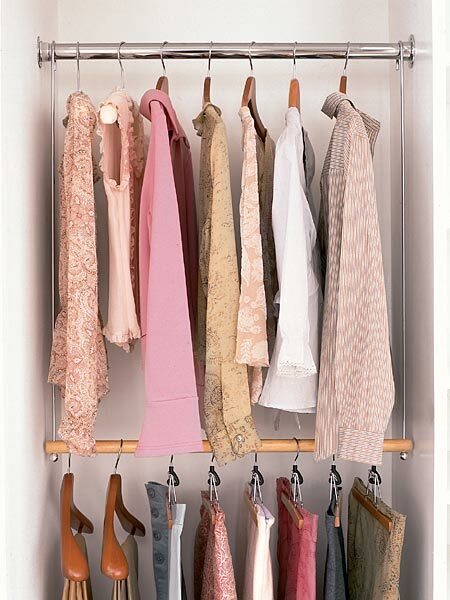 Double your closet space instantly by adding a second clothing rod. Find one that hangs from the original rod — like this one from Target ( $9.99 ) — so you don't have to drill extra holes in your wall to install it. You can also use thinner hangers to conserve space in your closet as well. 2. Choose furniture that does double-duty. 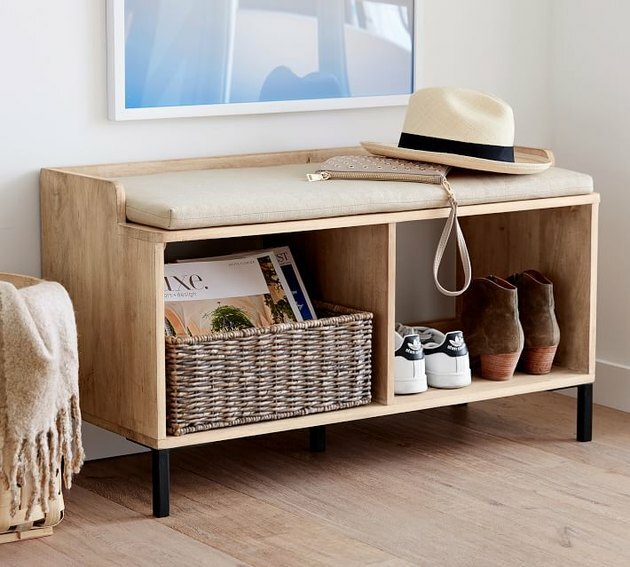 Furniture pieces with built-in storage space — like this entryway storage bench from Pottery Barn ( $159 ) — are a smart investment for a small pad. Ottomans with hidden compartments and bed frames with built-in drawers are common options, too. 3. Install shelves along the sides of your kitchen cabinets. 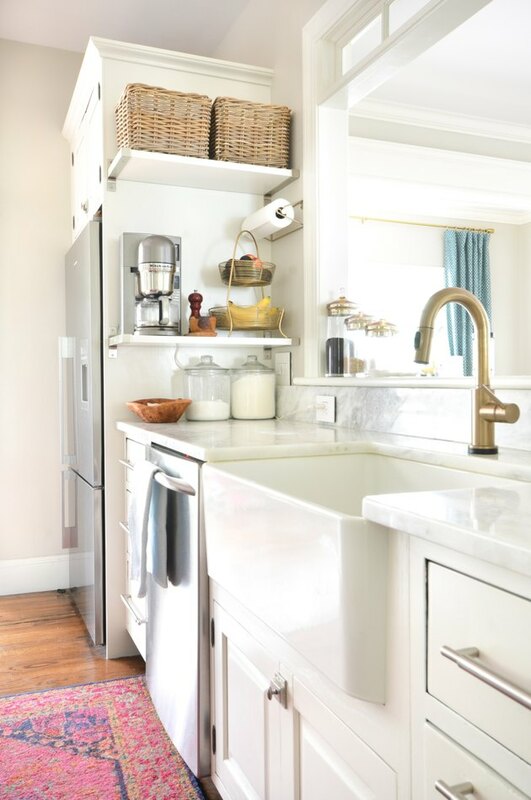 There's no such thing as too much cabinet space in a kitchen. So whether yours is seriously lacking in storage or has cabinets galore, installing shelves on the side of your millwork is a cute and clever way to store even more stuff in less space. 4. Make use of every nook and cranny. Small spaces often come with lots of little nooks and crannies — it's part of their charm, after all. But when storage space is at a premium, you can't let them go to waste. 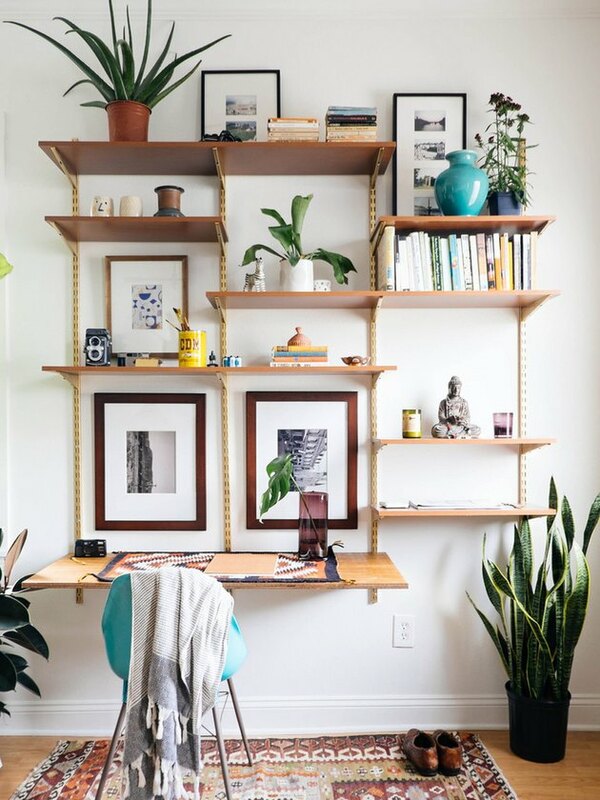 Make use of an awkward, empty corner by installing corner shelves. Opt for shallow shelving like this if depth is a concern. It's the perfect way to show off your decorative odds and ends that otherwise wouldn't have a home. 5. Turn a shelf into a compact laundry station. 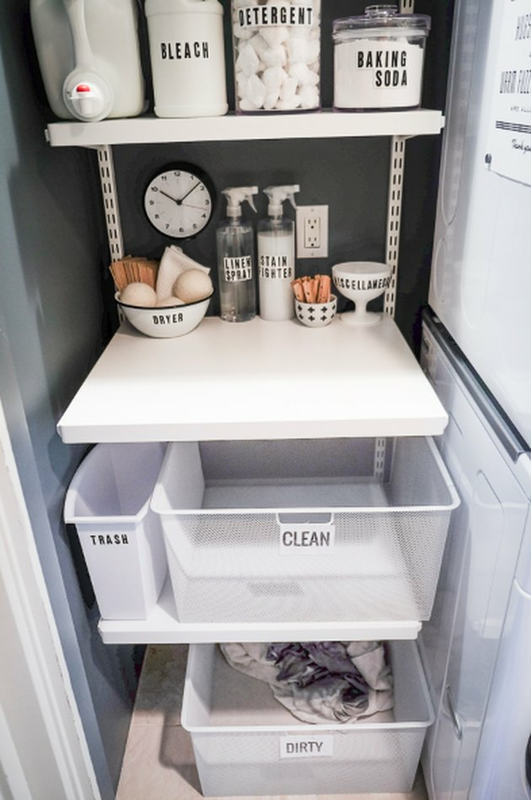 You only need a couple of feet of free space in your laundry room to install a laundry prep station, like this one that Tracy over at Shutterbean created in her home. She designed it using an inexpensive custom shelving system from The Container Store. 6. Mount items when possible to keep the floor clear. Since small spaces already look cramped, see what things you can mount on the wall — like this desk or a TV — versus having it take up valuable floor space. 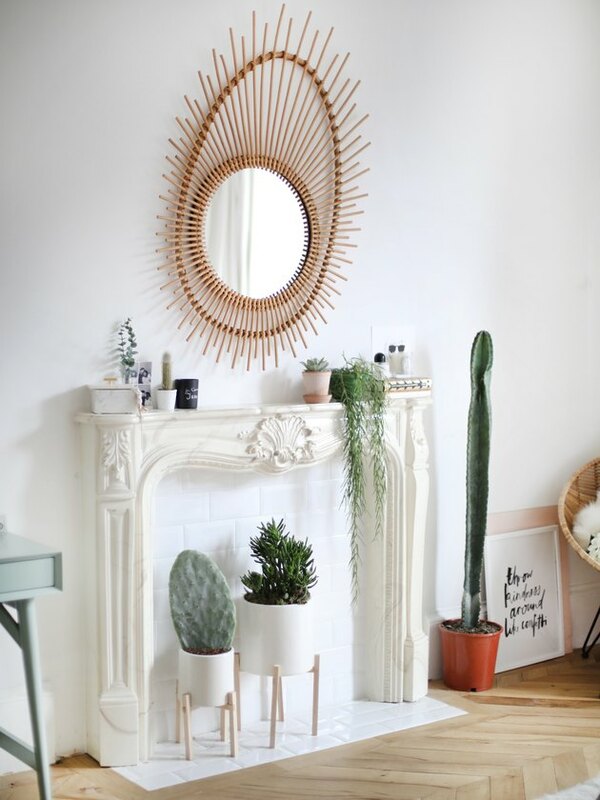 It'll help you pack more into your small space without looking visually cluttered. 7. Make the most of a blank wall. 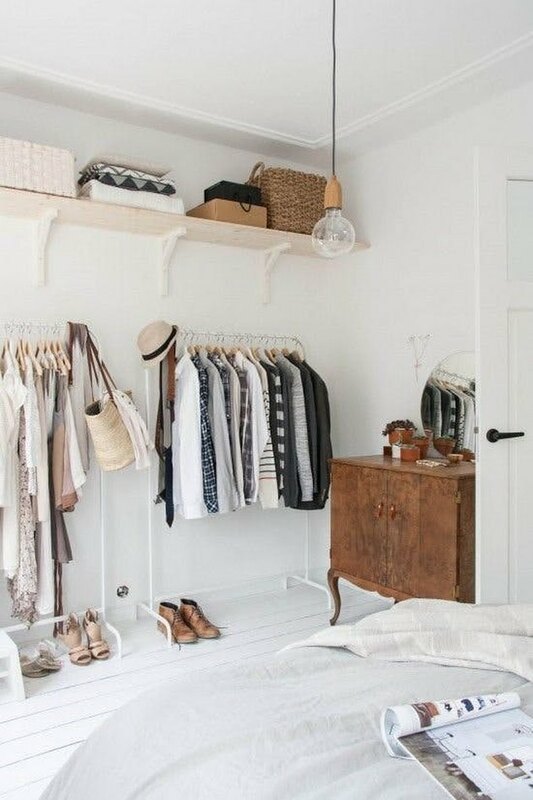 If you're lacking in closet space, transform a blank wall into a wardrobe station. Think vertical in your design so that nothing protrudes too far out into the room. 8. 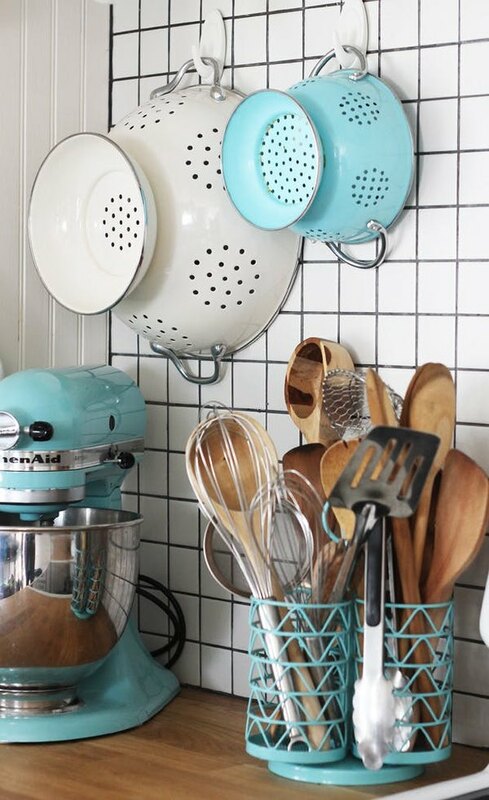 Command hooks can hang just about anything. Command hooks will become your new best friend once you realize just how many ways they can help you fit more stuff in less space. In Gina's colorful kitchen, she uses Command hooks to hang strainers that would otherwise take up valuable cabinet real estate in her small kitchen. 9. 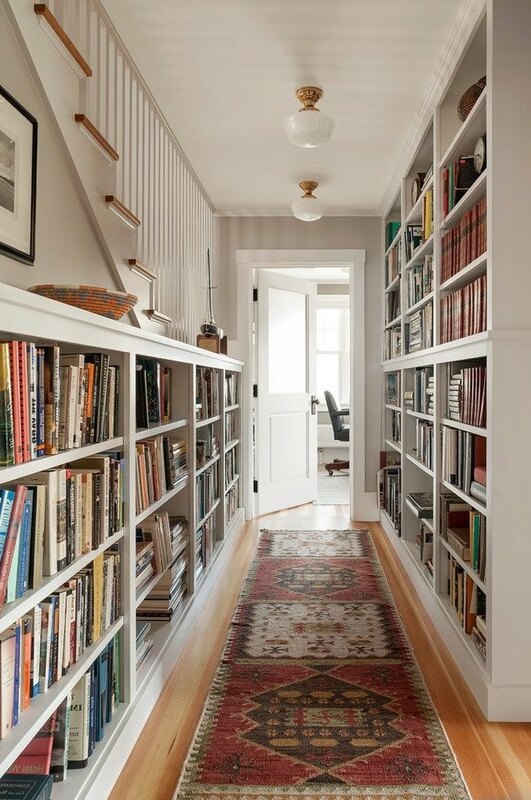 Line your hallway with bookcases for extra storage space. 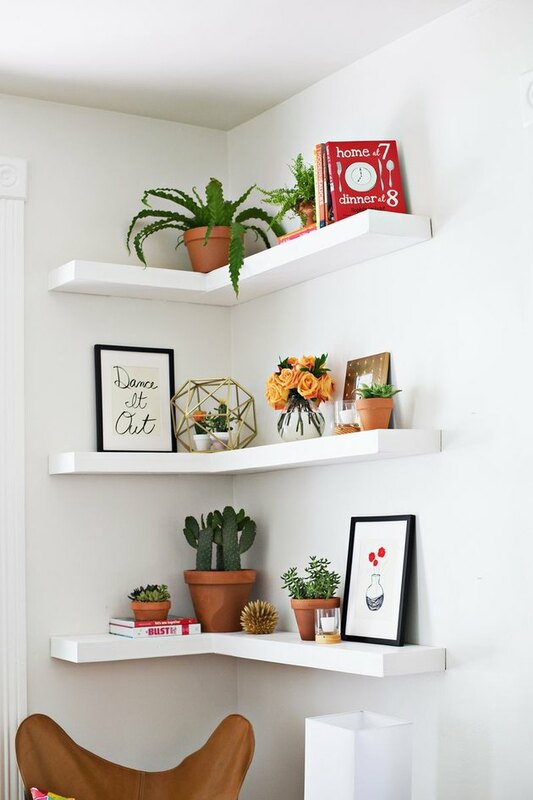 Even if books aren't your thing, if your hallways are wide enough to allow it, line them with bookcases or shelves to create extra storage space for visually appealing items, like pretty magazine holders filled with important paperwork. 10. Get creative with where you sneak in more storage space. There's only so much stuff you can shove into boxes under your bed or fit into your hallway closet, so if your space is especially tiny, you might have to get extra creative. 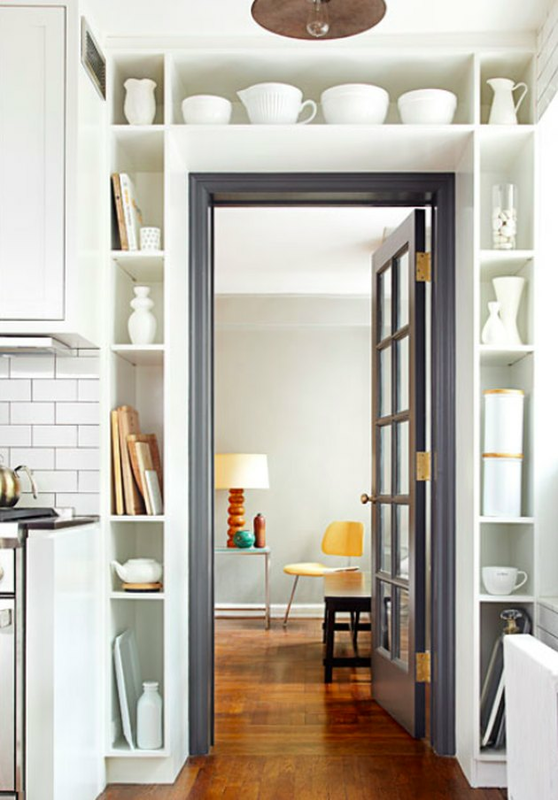 Consider adding built-in shelving around a doorway as an innovative way to store extra serveware.